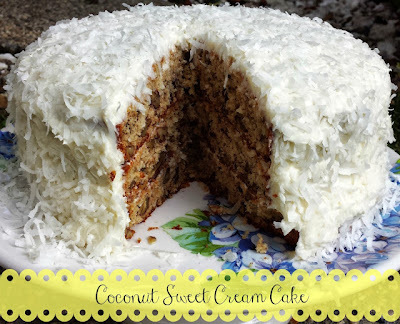 So my amazing Coconut Sweet Cream Cake was a hit with the inlaws and is now one of my go to cake for parties. The cake is moist yet allows the nutty flavor to come through. It's not overtly sweet nor does it leave a bad aftertaste as do some cakes where after devouring a generous portion you just want to plop down on a couch and take a nap. The swap of regular butter with I Can't Believe It's Not Butter!® spread was enlightening. Although I always want to change my diet habits, I hesitate because I don't want to miss out on flavor. Who really wants to eat food with no taste right? I learned that I Can't Believe It's Not Butter!® is made with 70% less saturated fat (the bad fat) and has 30% fewer calories than butter with the same great taste of butter. Even Kenzie who knows her butter as she wants to put it on everything she eats, couldn't taste the difference. This is a good thing because I want her to have good health and eating habits. I should have hopped on Hubs' bandwagon a long time ago and used spreads for good health without sacrificing good taste. The I Can't Believe It's Not Butter!® tubs are convenient when using the spread as a spread on toast, breads, pancakes (yum! ), waffles, steak and more. The sticks are perfect for baking as the measurements are indicated on the wrapper. Check out your local Walmart's butter section to pick up Unilever spreads for your next cooking or baking adventure. 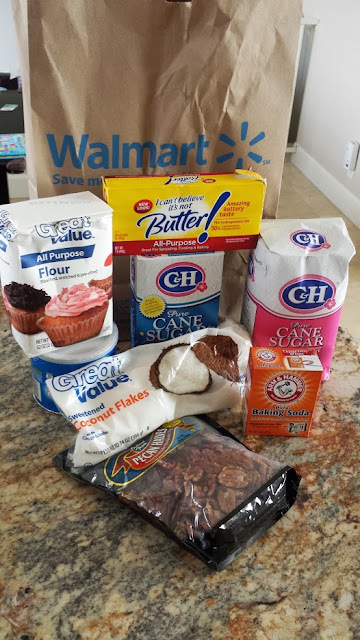 You will be surprised at how convenient it is to shop there for all your ingredients, especially at a low price. What are some recipes that you would try with a spread? It's funny how you start noticing labels and brands once you are aware. I see the unique Unilever logo everywhere now - especially on products that I have been using in my household without realizing they were part of the Unilever family. Visit itisgoodtoknow.com for more information and recipe ideas now! ive always assumed that this didnt taste good! looks like i was wrong! that cake looks delish! I'd love to try the spread. That cake looks amazingly delicious!! I have been using I Can't Believe It's Not Butter for a long time when I bake. I think it makes a just as good baked goods as butter but is healthier. I don't think I have ever used I Can't Believe It's Not Butter! but I'm glad to hear it has the same taste. My family would love that cake! I've never thought to cook with spreads. Weird, right? We have a big tub in our fridge right now. I also keep sticks of butter which we love on bread ~ but I cook with both. I have never had a bad result cooking with I Can't Believe It's Not Butter. Never realized that it was a Unilever brand. I love Can't Believe It's Not Butter. I love to make homemade treats for my family. that cake looks delish! Oh my yum! That cake looks delish! I used to use this prior to switching my diet over to Paleo. So yummy! I usually just use margarine rather than butter. But, I think having the more buttery flavor would be great! :)I should try it! I grew up on I can't believe it's not butter! All we used in my house! This cake looks amazing! Thank you for your review of this product. I should try it out. I never knew that cooking could be done with spreads!! We always use butter... this is great to know!